Drinking during your divorce is a common coping mechanism but while it offers momentary release, it’s not a good way to go. Alcohol is a depressant and drinking too much impacts health, energy and mood for the worse. Coping with the stresses of divorce is made many times worse when hungover, exhausted or low. There are many other alternatives to drinking to help calm your mind including exercise, meditation and seeking out art and culture. But let’s face it, sometimes you just want an easy fix. 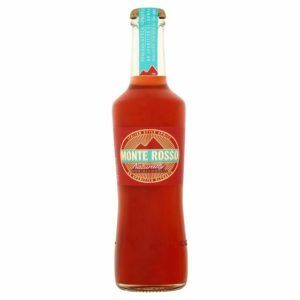 Monte Rosso is a sparkling drink in the style of a classic Italian aperativo. 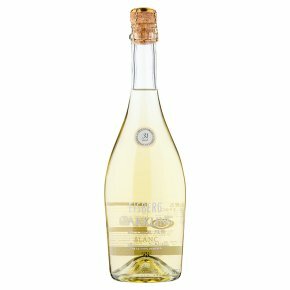 Although it is fruit based, it has botanicals to give it a bit of pep and some bitters to give it a bit of interest and sophistication. 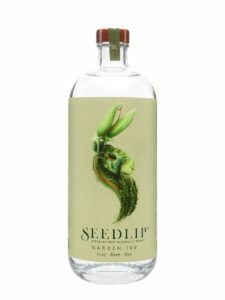 Seedlip is the best gin alternative we’ve tasted. Designed to be served with a mixer (tonic/ soda/ bitter lemon) this is a complex and peppy drink with a blend of botanicals that gives it complexity and interest. The 108 version is the most gin like but there is also a spiced version for a more clovey, wintry drink. It is priced like a gin, so it’s not a cheap alternative. But if drinking less at home is your aim, this is definitely one for the drinks cupboard. A refreshing and finely balanced non-alcoholic drink combining sparkling fermented grape juice blended with green tea. The green tea adds dryness and balances the sweetness. Wine is always particularly hard to replace but this version makes a good fist of it. 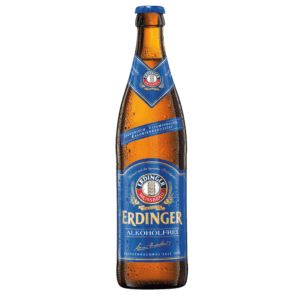 Erdinger is a wheat beer and one of the good ones. It has a strong wheaty taste and while it cannot completely escape the slightly tinniness of alcohol free beers, it does actually have an enjoyable taste. B12 and folic acid have been added to create an isotonic drink that theoretically help to support the immune system, a healthy healthy beer! Light-bodied with bitter hop notes and a fresh finish. Chill it down well and if you find yourself wanting to reach for a lager, this should satisfy the urge. The taste is fresh and crisp, slightly hoppy but not too intense, so those wanting a lighter beer will find this perfectly acceptable. Eisberg have been going strong since the ’80s. While alcohol free wine rarely lives up to the expectation, this one is certainly a bit more satisfying than most. 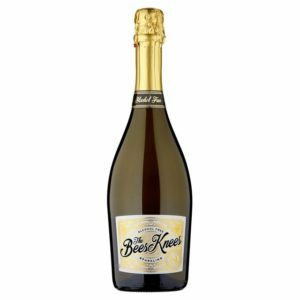 With citrus and peach flavours, the fizz makes it one for the summer nights.